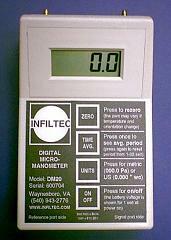 Chemical smoke is an important part of radon diagnostic procedures. Smoke is used to determine air pressure field extension and flow rate of a mitigation fan. Smoke can also check for leaks in the floor and walls after a mitigation system is operating. And never to be over looked is using smoke to test for back drafting of combustion appliances. Back drafting is often a contributing factor of high carbon monoxide levels in homes. 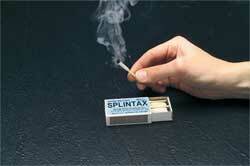 20 Pack of Splintax Smoke matches provide 20 to 25 seconds of cool white smoke, they are non-toxic smoke emitters. These smoke matches provide a quick and inexpensive method of generating a small burst of smoke. Also the time average feature is great to quantify wide fluctuations found in some difficult homes.